Writer: So, you were raised in a zoo? Adult Pi Patel: Born and raised. In Pondicherry, in what was the French part of India. My father owned the zoo, and I was delivered on short notice by a herpetologist, who was there to check on the Bengal monitor lizard. Mother and I were both healthy, but the poor lizard escaped and was trampled by a frightened cassowary. The way of karma, huh? The way of God. 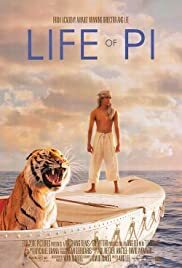 Q: What are some other movies like 'Life of Pi'? Q: What is 'Life of Pi' about? Q: Are the animals in the movie real or computer-generated? I was lucky enough to see Pi in full 3D Imax at a pre-viewing in San Diego last night, and as a huge fan of the book, I was intensely satisfied. Believe it or not, I was more impressed with the the casting choices and performances of the players than by the effects. 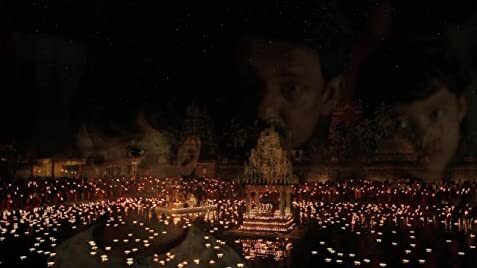 Granted, the movie was very beautiful, but in the end, Life Of Pi was more character driven than anything. Suraj Sharma as the young Pi was charming, funny, and incredibly engaging, while Irrfan Khan as the older Pi was fantastically genuine and warm. Adil Hussain as Pi's father was also a joy to watch. The characters are so rich and full of life that you really can't help but fall in love with them. I would also like to add, as someone who spends time with tigers on a daily basis, the animators did a wonderful and accurate job of bringing Richard Parker to life and making him the active and vital character that is so incredibly essential to the success of this story. I would recommend seeing Pi in 3D, but I don't think that's it's essential to your viewing enjoyment. The 3D just takes a beautiful film and makes it a little bit nicer. Also, if you've read the book and are concerned that the story you loved may have been compromised in anyway, worry no longer. This is easily, one of the best book to film adaptations I have ever seen. Happy viewing folks. I hope you enjoy this film as much as I did. I'll be seeing it again in theaters very soon. 401 of 501 people found this review helpful. Was this review helpful to you?